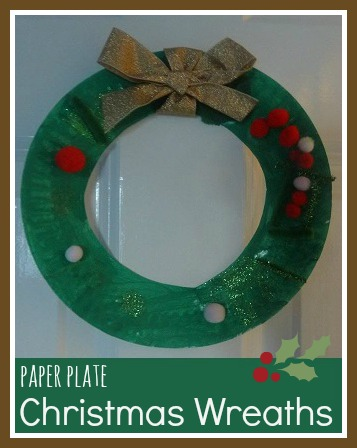 These paper plate Christmas wreaths are a really simple Christmas craft for children, and would also make a great project for a large group of children. You might even be able to find some green paper plates, which would make them a lot easier and quicker to make! 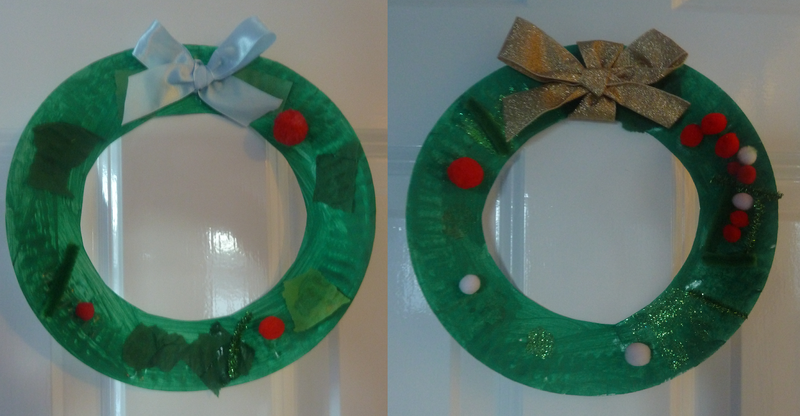 Making these wreaths is a two step process, as you need to wait for the base layer of green paint to dry. If you don't have time to wait for them to dry, you could leave out the paint layer and just collage the decorations on to the wreath. I like to paint first because I find that little ones often don't have the patience to cover the entire wreath, and the green underneath looks nicer than plain white. First, cut the centres out of the paper plates. I find the easiest way to do this is to fold the paper plate lightly in half and cut out the middle that way. Then paint with thick green paint. While the paint is wet you might want to sprinkle some green glitter across them before it dries for a glittery finish. Then when the paint is dry, stick the collage materials all over the wreath. I found some ribbon in my ribbon stash to make a bow for the top, then we used BluTak to stick them to the doors of the children's bedrooms, you could also punch a hole in the top and use ribbon to hang them from a door or the Christmas tree. A lovely decoration for your child's bedroom door this Christmas! That is a brilliant idea, I love it! so clever! i may trybfir my daughter's birthday next year as she's a december b/day! I love using paper plates for crafting, they are so versatile! 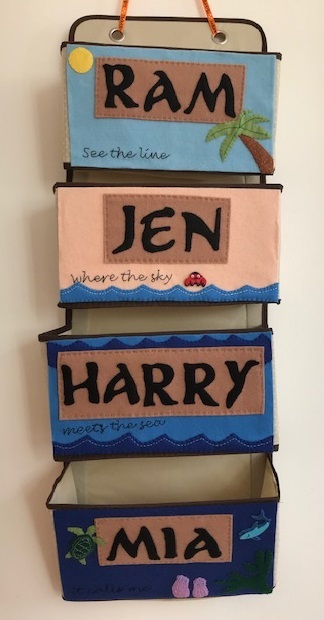 I love simple crafts and this is brilliant - thank you for sharing.